This year we decided to make our pressies and what better present than a little taste from us to you neatly wrapped up in a jar? This idea of baking the cake in the jar is genius – thank you Girl with A Curl for introducing us to it back at the Food Blogger’s Bake Sale. You can bake any cake in a jar but what better for Christmas than one of our favorite cake recipes – if not THE favorite – David Lebovitz‘s famous Fresh Ginger Cake recipe in his book Room for Dessert (p44). Preheat the over to 350 degrees. Place the 12 jars in an ovenproof dish and lightly spray each one with oil. 1. In the KitchenAid, mix together the molasses, sugar and oil. In another bowl sift together the flour, cinnamon, cloves and black pepper and set aside. 2. Add the baking soda to the boiling water in a saucepan and then pour this into the molasses mixture in the KitchenAid. Mix in the ginger. 3. Gradually add the dry ingredients to the mixture. Finally add the beaten eggs and mix until everything is thoroughly combined. 5. Ladle the batter into the awaiting jars. Divide between the 12 jars – each one should be about two thirds full. 6. Bake for about 30 minutes – until the cake rises to the top of the jar and springs back to the touch. A skewer inserted into the centre of the cake should come out clean. 7. Place the lids on the hot jars – as they cool a seal will form, meaning the cake can be sent around the world, has a long shelf life and will be enjoyed by all our friends and family where ever they are spending Christmas. 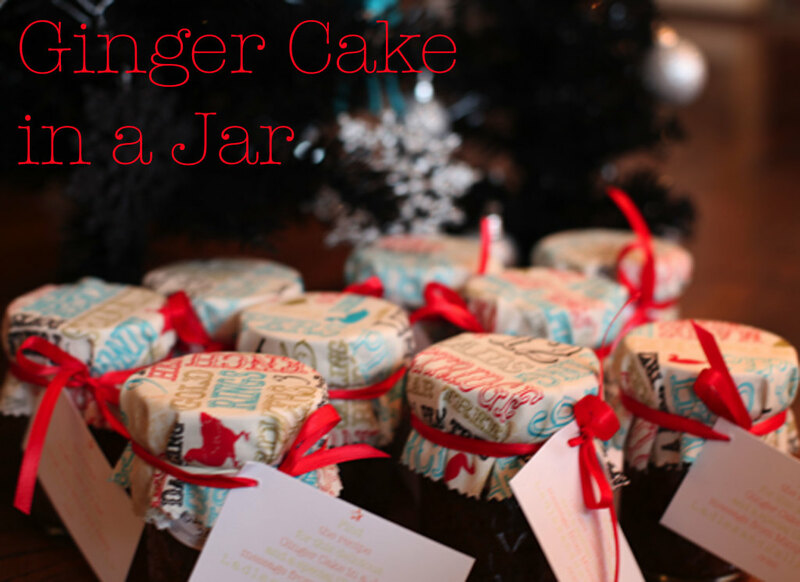 Making these jar cakes was easy – packing them up and sending them off to the four corners of the globe not so much! To those family and friends further afield we hope the cakes arrived safely and you can enjoy them around your christmas trees as snow falls outside – think of us in sunny California making snow angels in the desert sand!